Scott Farquhar was born on 1980 in Sydney, Australia, and is now known perhaps world-wide as a co-founder and co-CEO of Atlassian, which floated on the NYSE in late 2015 as an Initial Public Offering (IPO) with an immediate rise in valuation estimated to reach $5.75 billion. Scott has been involved in IT business systems development since 2000. So just how rich is Scott Farquhar? Sources estimate that as of late 2015, and following the public launch of Atlassian, Scott’s net worth is now above $2 billion, mostly thanks to his 33% share-holding in Atlassian, but accumulated over a career now spanning more than 15 years in business, and which puts him close to the 10 richest Australians. Scott was educated at the selective James Ruse Agricultural College in Sydney, subsequently gained a scholarship to the University of New South Wales(UNSW), from where he graduated with a Bachelor of Commerce degree in Business Information Technology in 2003, and during which he formed firstly a friendship with Mike Cannon-Brookes, and then a business relationship. 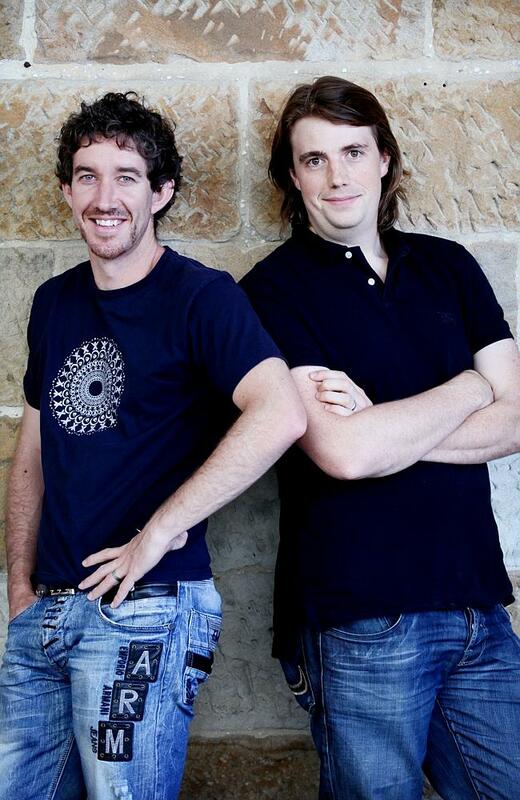 After working briefly for other companies vaguely associated with IT, Scott and Mike Cannon-Brookes co-founded Atlassian in 2002 with a $10,000 credit card advance, based on ideas developed at UNSW, and quickly had Jira, a project management tool, ready for sale. Their company made money from the start, and never needed further investment until linking with Accel in 2010, accepting $60 million. However, some employees sold their shares – bought at a discount – which have been consolidated by T. Rowe Price and Dragoneer Investment Capital. By this time, Scott’s net worth was already several million dollars. Essentially, Atlassian is an on-line software development company that helps customers manage projects and work flow for IT and then development, offering programs such as Stash, HipChat and Confluence. Scott and Mike Cannon-Brookes quickly expanded the company, selling technology rather than just using it, with offices now world-wide. In 2014 they moved their legal headquarters to London, and have opened up around the world in 12 cities employing over 1200 people, with services now used by more than 50,000 companies in 130 countries, including Facebook, American Airlines, BMW, Cisco, Citigroup, NASA, Audi, Telstra, Cochlear and Virgin Media – an impressive range of clientele. Forbes magazine has estimated that Farquhar and Cannon-Brookes each own around 33% of Atlassian. The revenue from company sales explains Scott’s growth of net worth – after just one year it was over $1 million, from which the partners paid themselves just $15,000, but rising to over $100 million in 2011, and most recently over $320 million in 2014-15. No wonder the IPO was in such great demand, with the shares rising from a valuation of $4.3 to 5.75 billion on the day of release. Scott has been recognised internationally for his success, along with partner Mike: in 2004 the ‘Australian IT Professional of the Year’ award, and in 2006 ‘Australian Entrepreneur Of The Year’. He was also honored in 2009 as a Young Global Leader by the World Economic Forum; he is a current member of The Forum of Young Global Leaders. In his personal life, Scott Farquhar is married to Kim Jackson and they have two children, currently living in Sydney. Scott is also a known philanthropist, having established the Atlassian Foundation, and Room to Read in Cambodia, among others, agreeing with Cannon-Brookes years ago to commit 1% of company equity on-going.